Susan Harbage Page has exhibited nationally and internationally including Bulgaria, France, Italy, Israel, and China. Her work can be found in many public and private collections, including the Baltimore Museum of Art, the High Museum of Art, the Houston Museum of Fine Arts, and the Israel Museum. Concurrently, her exploration of communities includes temporary public interventions and several municipal public art commissions that link place, history and community together including Crossing Over: A Floating Bridge, Brownsville, Texas and Matamoros, Mexico and Handmade a municipal project for the Charlotte Area Transit System’s Light Rail Station. Susan Harbage Page is a three time winner of the North Carolina Arts Council Visual Artist Fellowship (2010, 2004, 2000) for Longing: Personal Effects from the Border, photographs and archives of objects found on the U.S. Mexican Border; A Question of Beauty, work exploring her experience with breast cancer; and Working Women an exhibition of photographs and interviews with women she worked with in a textile mill in Charlotte, North Carolina. She was also awarded Second Prize (2002) in The Bernice Abbott International Competition for Women in Documentary Photography, Springfield Museum of Art, Springfield, Ohio for her work with the Bedouin Community of Lakiya in the Negev Desert. Fieldwork has been an important part of her artistic practice. 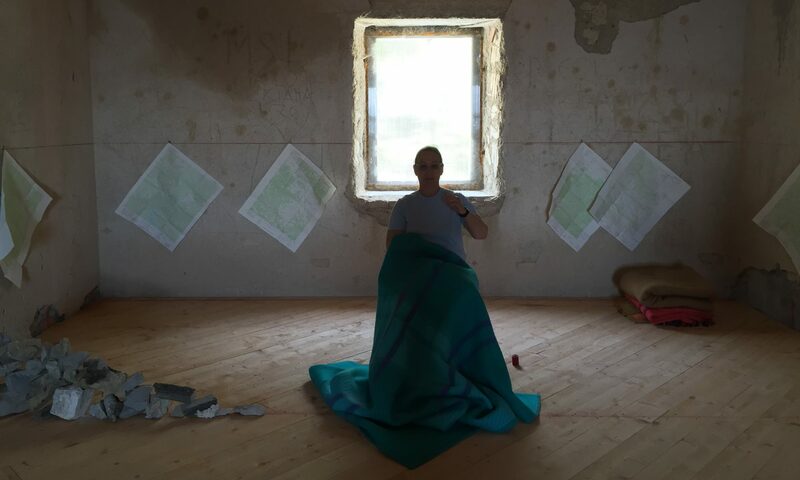 She has been awarded four international residencies for fieldwork exploring communities of women and sacred objects. These include a Fulbright Travel Grant (1992) to investigate sacred objects and the community of cloistered nuns at the Monastero di Santa Maria Magdalena in Spello, Italy; a North Carolina to Israel Fellowship (1996) from the North Carolina Arts Council where she lived with a group of Bedouin women who ran a weaving cooperative; a Camargo Foundation Fellowship (2002) in Cassis, France where she photographed the remains of religion; and an Artist Residency (2004) at the McColl Center for Visual Arts, Charlotte, North Carolina where she developed Palimpsest a visual exploration of women’s histories written on their bodies. Her research includes five monographs published by museums concurrently with the exhibitions: Susan Harbage Page: Lingering Portraits, Gettysburg College Pennsylvania, (2008), Postcards from Home, Sumter County Gallery of Art (2007), South Carolina; Involuntary Memories: Blanden Memorial Museum of Art (2006), Fort Dodge, Iowa; The Ties That Bind: Greenville County Museum of Art and the Emrys Foundation (2003), Greenville, South Carolina, Standing Still, ATA Center for Contemporary Art, Sophia, Bulgaria (2001). Her education includes a Master of Fine Arts Degree with a concentration in photography from the San Francisco Art Institute in 2004. A Bachelor and Master of Music with a concentration in Saxophone Performance from Michigan State University in 1981 and 1983, in 1984. She received her B.M. and M.M (saxophone performance) from Michigan State University and an M.F.A. from the San Francisco Art Institute. and a Certificate of Knowledge of the Italian Language from the University for Foreigners in Perugia, Italy. She teaches studio art and women’s studies at the University of North Carolina at Chapel Hill.